Mongolia is the emptiest land in the world. 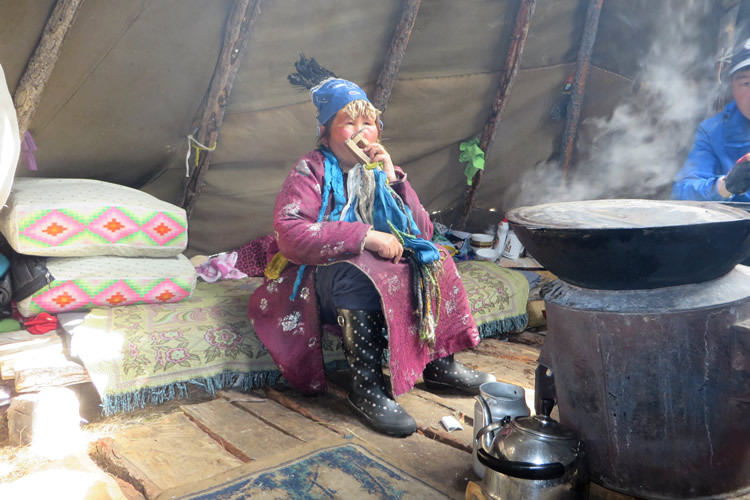 And the Tsagaan mongghol, a Mongol ethnic group, live in the corner of this country on the border with Siberia.This is a nomadic people who also live on the other side of the border in Siberia. We first ride through a large part of the country by motorcycle. The closer we get, the worse the road becomes. 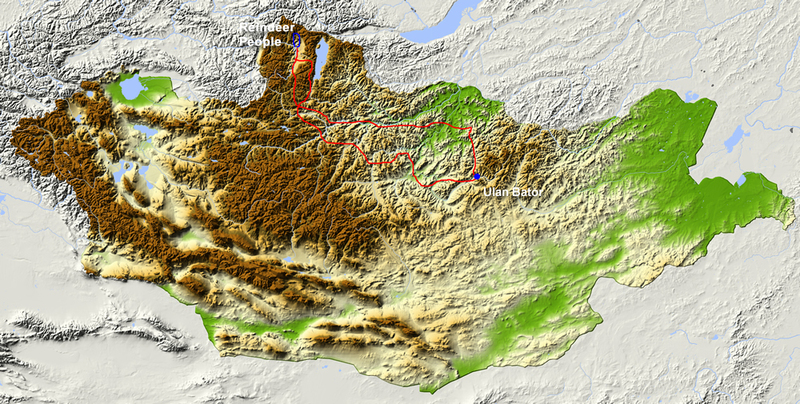 The last part to Tsagaan Nuur is very difficult. Thereafter, it is impossible to go further by motorcycle. We finish the last kilometers on horseback. We stay overnight in the tents of local people, surrounded by herds of reindeer. We must bring our own food and cook for ourselves. The conditions here are very basic. Nonetheless, it is extremely special to be here. On the way back we go via a beautiful dirt road and after three days we are back in the capital. It is a unique journey through a unique region.